Funeral services for Mr. Joe Allen Leath will be 2:00 P.M. Monday, February 4, 2019, at Ligon & Bobo Funeral Home with Bro. Chuck Groover officiating. Interment with military honors will follow at Crestview Memorial Park in Gallatin. Visitation Sunday 2-6 PM and Monday after 12 Noon at Ligon & Bobo. 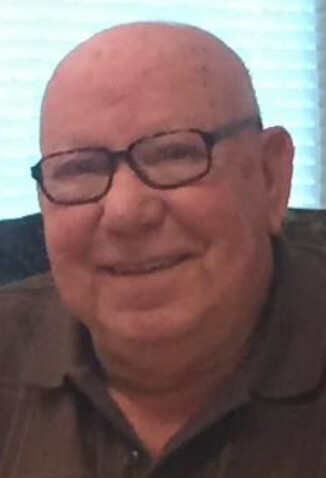 Mr. Leath, age 80 of Mount Juliet passed away Friday, February 1, 2019, at Centennial Medical Center in Nashville. Born October 19, 1938, in Sumner County, he is the son of the late Obra M. and Cleo Stamps Leath. He served in the United States Army from 1961-1963. He retired from Peterbilt Corporation and was a member of Victory Baptist Church. In addition to his parents, he was preceded in death by a daughter, Richie Michelle Clifton; great granddaughter, Reagan Michelle Clifton; and three brothers, James, Earl and Billy Leath. He is survived by his wife of thirty two years, Peggy Gray Leath; son, Richard H. Smith III (Stephen Rys); two sisters, Jean Shrum and Brenda Reed; four grandchildren: Dallas Clifton, Lauren Smith, Riley Clifton, Ashley Smith; two great grandchildren: Mikayla & Mayson Clifton; special friends, Vickie & Gary Wood, Kenny & Pam Bilbrey, and Stephanie & Rob Waddell.